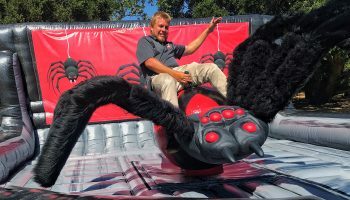 We rent amazing themed rides and games like our Halloween Mechanical Black Widow Spider Ride. This Black Widow mechanical ride will give you thrills and won’t bite. 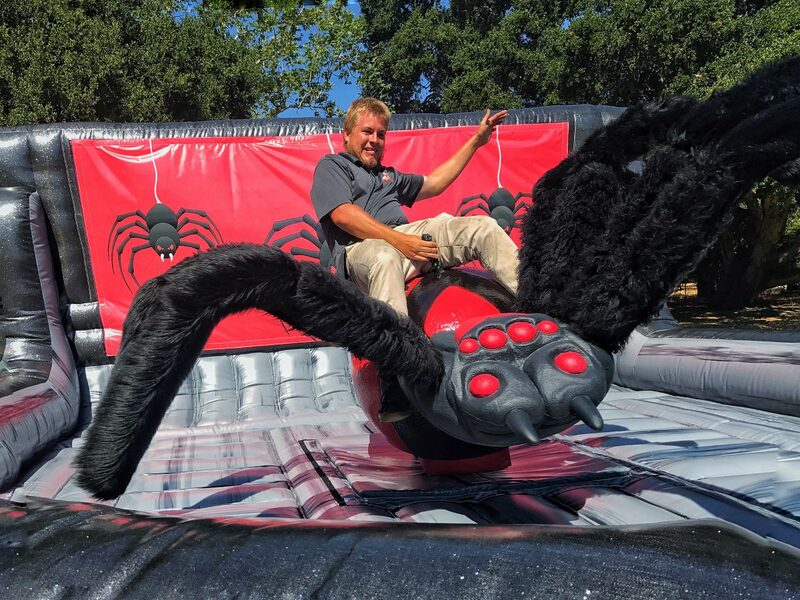 Just like a mechanical bull our Halloween Mechanical Black Widow Spider Ride bucks and spins. We operate all our mechanical rides and attractions. 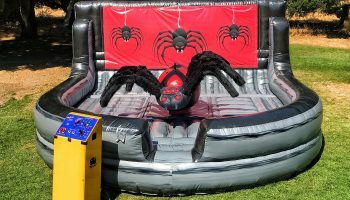 Halloween is a huge party season for kids and adults and why not treat your guests with this extreme attraction. 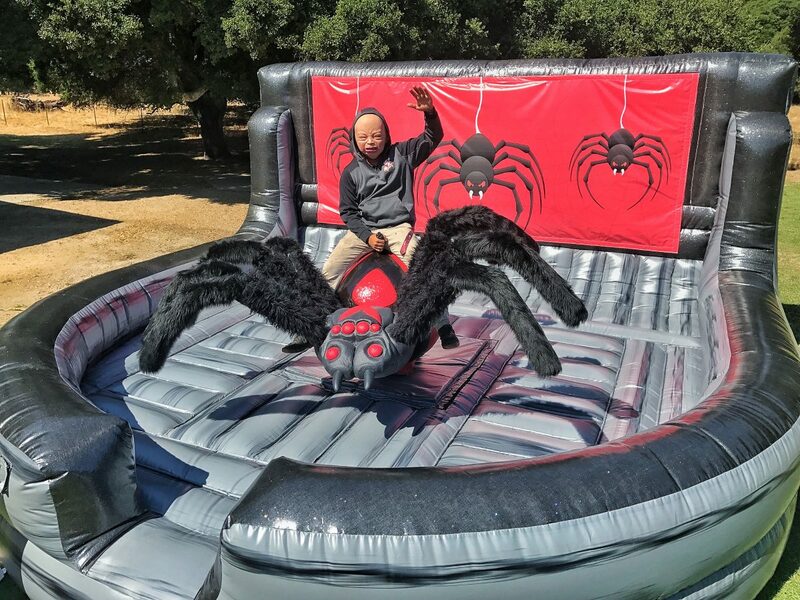 We have made a custom made inflatable for the Halloween Mechanical Black Widow Spider Ride that the back banner can be removed and your company or special message can be placed on the inflatable. 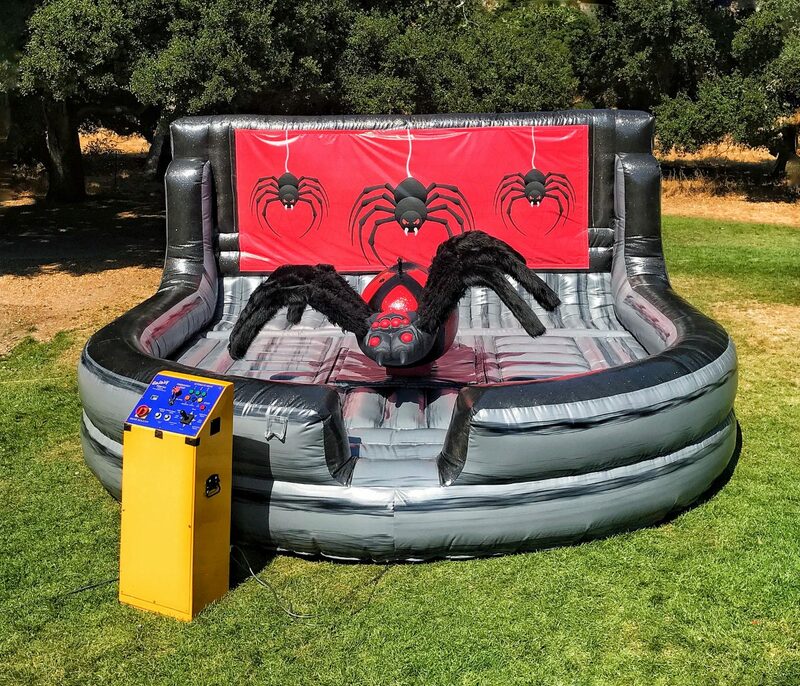 We also offer portable speakers and can provide special music to play while your guests are riding the Mechanical Spider. 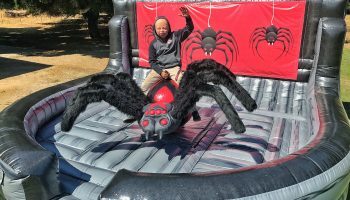 If the Halloween Mechanical Black Widow Spider Ride is to scary for you and your guests we also offer a mechanical pumpkin. 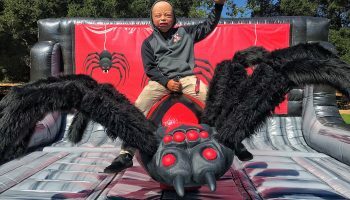 We deliver all our Halloween and other party rental items to the entire San Francisco Northern California Bay Area Cities. 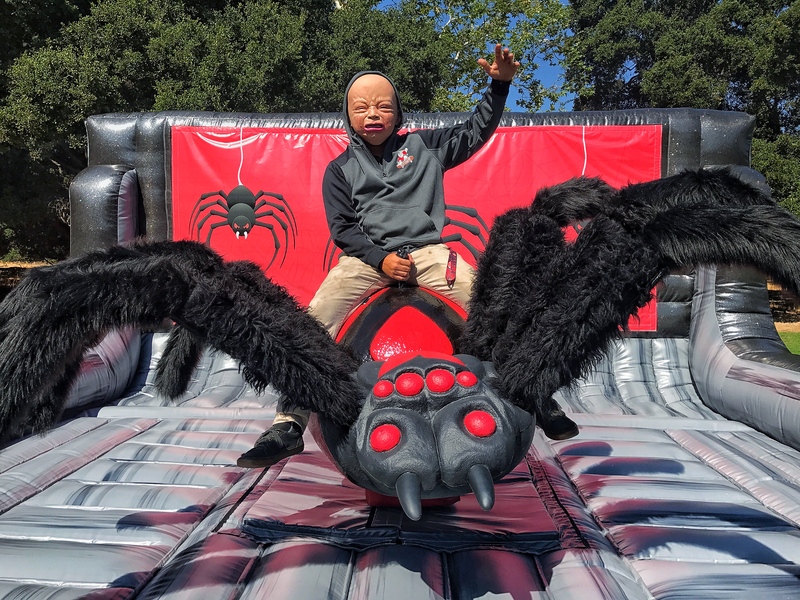 We can also deliver our halloween products to your company event in San Jose, Palo Alto, East Bay, Oakland, Santa Cruz, Paso Robles, San Luis Obispo, and the entire Central Coast of California. Give our office a call to have us create your next halloween event. Check out our video of this amazing ride by clicking here. Please have your city and zip code ready for the best quote.